The January 1924 issue sold more than 15,000 copies and by the end of the first year, the circulation was over 42,000. In early 1928 the circulation reached a height of over 84,000, but declined steadily after the stock market crash of 1929. The magazine published writing by Conrad Aiken, Sherwood Anderson, W. J. Cash, Thomas Craven, Clarence Darrow, W. E. B. Du Bois, John Fante, William Faulkner, F. Scott Fitzgerald, Albert Halper, Langston Hughes, James Weldon Johnson, Sinclair Lewis, Edgar Lee Masters, Albert Jay Nock, Eugene O'Neill, Carl Sandburg, and William Saroyan. Nathan provided theater criticism, and Mencken wrote the "Editorial Notes" and "The Library", the last being book reviews and social critique, placed at the back of each volume. The magazine published other writers, from newspapermen and academics to convicts and taxi drivers, but its primary emphasis soon became non-fiction and usually satirical essays. Its "Americana" section—containing items clipped from newspapers and other magazines nationwide—became a much-imitated feature. Mencken spiced the package with aphorisms printed in the magazine's margins whenever space allowed. Mencken resigned as editor of the magazine at the end of 1933, and his chosen successor was economist and literary critic Henry Hazlitt. Differences with the publisher, Alfred A. Knopf, Sr., however, led Hazlitt to resign after four months. 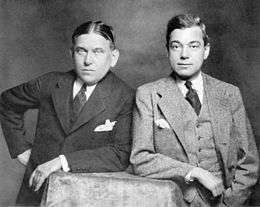 The American Mercury was next edited by Mencken's former assistant, Charles Angoff. At first, the magazine was considered to be moving to the Left. In 1934, Knopf sold the Mercury to Paul A. Palmer, a former Mencken colleague at The Baltimore Sun. By 1936, Palmer had continued the Mencken standard in its content but changed its appearance: it was published in the same pocket size as Reader's Digest. Three years later, the magazine changed hands again, Palmer selling it to the Mercury's business manager, Lawrence E. Spivak. In 1946 the Mercury merged with the democratic-socialist magazine Common Sense. By 1950, the Mercury was owned by Clendenin J. Ryan. 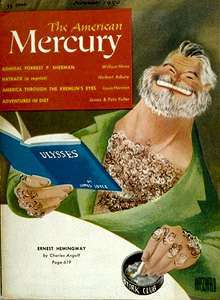 He changed the magazine's name to The New American Mercury. Ryan was the financial angel for Ulius Amoss, a former Office of Strategic Services agent who specialized in operating spy networks behind the Iron Curtain to destabilize Communist governments and the publisher of International Services of Information in Baltimore; his son Clendenin Jr. was a sponsor William F. Buckley, Jr. and the Young Americans for Freedom. Ryan transformed The American Mercury in a conservative direction. William Bradford Huie[Note 1]—whose work had appeared in the magazine before—had gleaned the beginning of a new, post-World War II American conservative intellectual movement. He sensed that Ryan had begun to guide The American Mercury toward that direction. He also introduced more mass-appeal writing, by figures such as Reverend Billy Graham and Federal Bureau of Investigation director J. Edgar Hoover. Huie seemed en route to producing a conservative magazine. William F. Buckley, Jr., whose God and Man at Yale was a best seller, worked for Huie's Mercury, as a young staffer. In 1955, he founded the longer-living conservative National Review. Buckley would succeed at what Huie was unable to realize: a periodical that brought together the nascent but differing strands of this new conservative movement. The DCF sold it in 1963 to the "Legion for the Survival of Freedom" of Jason Matthews; the LSF cut a deal in June 1966 with the (original) Washington Observer, finally merging with Western Destiny. Western Destiny was a Liberty Lobby publication owned by Willis Carto and Roger Pearson, the largest recipient of Pioneer Fund grants in history. Pearson was a well known neo-Nazi and pro-Fascist who headed the World Anti-Communist League during its most blatantly pro-Fascist periods. Pearson was a close associate of Wickliffe Draper, founder of the Pioneer Fund. By then The American Mercury was a quarterly with a circulation of barely 7,000, and its editorial content was composed almost entirely of attacks upon Jews, African Americans, and other minorities. The new American Mercury was created in 2010 by a group of volunteer writers and editors, among whom are some who collectively worked with the contributors and management of the print Mercury for over 40 years. The publishers refer to themselves as the "Jefferson-Mencken Group." The "new" American Mercury was criticized by the Southern Poverty Law Center in the Winter 2013 edition of their magazine Intelligence Report, which called it a "Leo Frank Propaganda Site" and described it as "a resurrected and deeply anti-Semitic online version of H. L. Mencken’s defunct magazine of the same name". The Anti-Defamation League calls it "an extreme right-wing site with anti-Semitic content", while The Jewish Daily Forward refers to it as "H.L. Mencken’s historic magazine, resurrected online by neo-Nazis several years ago", which "has published several revisionist articles to coincide with this year’s anniversary". All three mentioned its role in publishing "revisionist" material relating to the lynching of Leo Frank. ↑ William Bradford Huie should not be confused with Bradford L. Huie, which is an apparent pseudonym of the author of a 2013 American Mercury article that has been widely distributed on white nationalist Internet forums. ↑ "Bichloride of Mercury". Time. 31 December 1923. Retrieved 20 December 2010. ↑ "Newsstand: 1925: The American Mercury". Newsstand. Retrieved 23 February 2016. ↑ Teachout, Terry (2001). The Skeptic: A Life of H.L. Mencken. HarperCollins. p. 181. ↑ Mott, Frank Luther (1968). A History of American Magazines, Volume V: 1905-1930. Harvard University Press. p. 22. ISBN 978-0674395541. Retrieved July 16, 2015. 1 2 "Neo-Nazis Behind Leo Frank Propaganda Sites". Intelligence Report. Montgomery, AL: Southern Poverty Law Center. Winter 2013. Retrieved December 28, 2014. 1 2 Judis, John B. (2001). William F. Buckley, Jr.: Patron Saint of the Conservatives. Simon and Schuster. p. 173. ISBN 978-0743217972. Retrieved July 17, 2015. ↑ McMichael, Pate (2015). Klandestine: How a Klan Lawyer and a Checkbook Journalist Helped James Earl Ray Cover Up His Crime. Chicago Review Press. p. 43. ISBN 978-1613730737. Retrieved July 17, 2015. ↑ "About". The American Mercury. Retrieved 20 December 2010. ↑ "Please Help Us". The American Mercury. Retrieved 20 December 2010. ↑ "100 Years Later, Anti-Semitism Around Leo Frank Case Abounds". adl.org. Anti-Defamation League. August 23, 2013. Retrieved December 28, 2014. ↑ Berger, Paul (August 20, 2013). "Neo-Nazis Use Leo Frank Case for Anti-Semitic Propaganda Push". The Jewish Daily Forward. New York: The Forward Association, Inc. (published August 23, 2013). Retrieved December 28, 2014.